Kenny, Maurice. Blackrobe :Isaac Jogues. Saranac Lake, N.Y.: North Country Community College Press, 1982. SPEC PS3521.E577 B5. ---. Is Summer this Bear. Saranac Lake, N.Y.: Chauncy Press, 1985. SPEC PS3561.E49 I7 1985. ---. 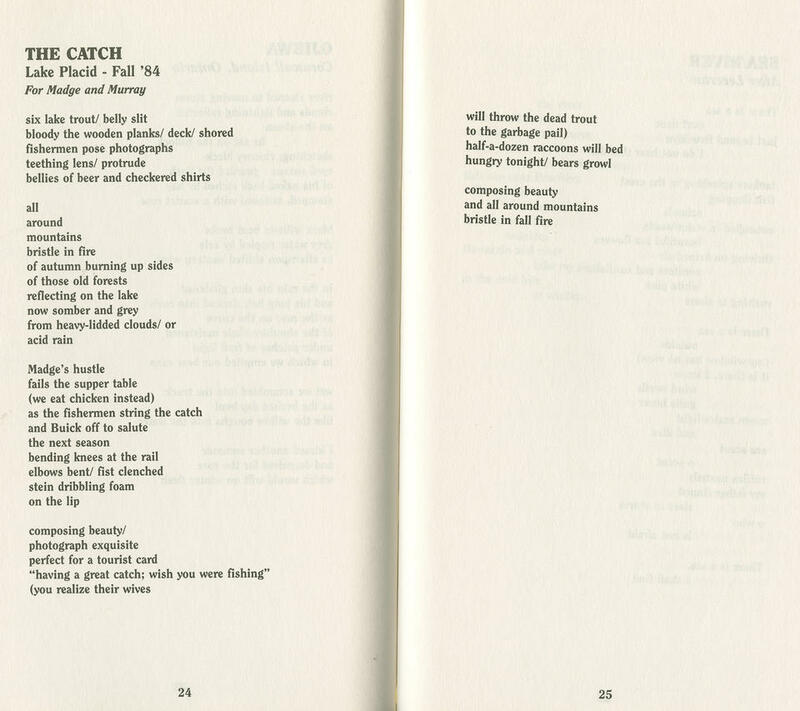 Between Two Rivers: Selected Poems 1956-1984. Fredonia, NY: White Pine Press, 1987. SPEC PS3561.E49 B47 1987. ---. Humors and/or Not so Humorous. 7/8 Vol. Buffalo, NY: Swift Kick, 1988. SPEC PS3561.E49 H85 1988. ---. Tekonwatonti, Molly Brant, 1735-1795 :Poems of War. Fredonia, N.Y.: White Pine Press, 1992. PS3561.E49 T4 1992. --- and Tim Strong. Maurice Kenny's Dozen and Tim Strong's Half Dozen. Potsdam, NY: The BirchBark Press, 2011. Maurice Kenny is perhaps one of the most influential Adirondack, as well as Native American, poets to span the twentieth and twenty-first centuries. Born in Watertown, NY, the Adirondacks have remained a constant source of inspiration for Kenny (Strom). He has been published in numerous reputable journals (such as Blueline) and his collections Blackrobe: Isaac Jogues and Between Two Rivers were nominated for the Pulitzer Prize (Kelsey). In his preface to Is Summer This Bear, Kenny states that he has “never recognized humankind’s supremacy”. 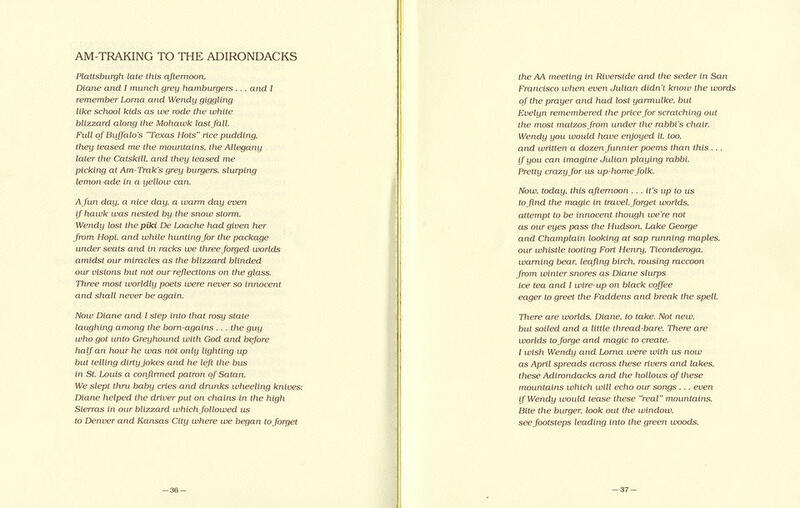 I think that this affirmation permeates all of his poetry, so that his work becomes “Adirondack” in its respect for nature over the desire to dominate it: “…though I have never had a particular fondness for the Norwegian rat nor the Brooklyn cockroach, I find it difficult to deny them breath” (Kenny). Tim Strong is a local writer and the proprietor of BirchBark Books in Potsdam.